With the yellow dessert peaches ready for harvesting in the orchard, the summer fruit season has officially started at Towerwater. And the sweet summer fruit can be enjoyed in any number of ways. The best is walking into the orchard in the cool of the morning and picking them off the tree and enjoying the treat there and then after first rinsing their hairy cheeks. A bird peck marking is a good indication as to which of the peaches will be the tastiest. Birds can be a problem in the orchard. But one can forgive them their good taste. I learnt from my Mom to harvest the fruit you would like to use before the birds are awake. 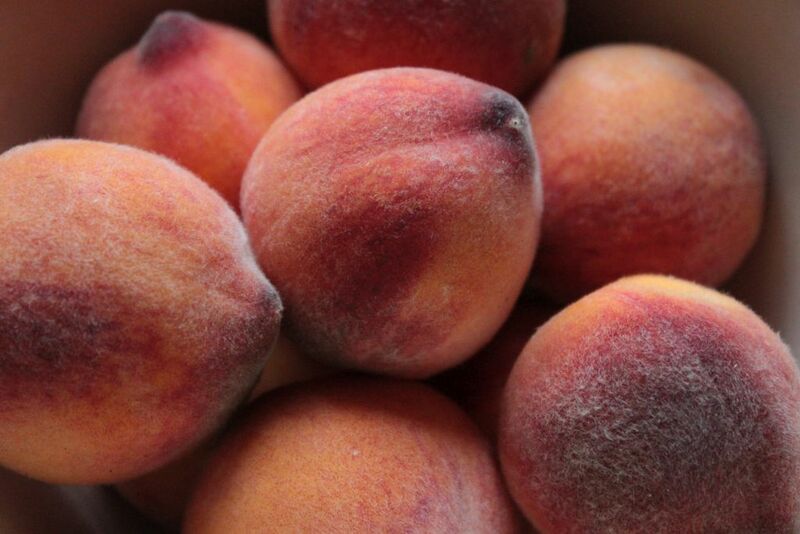 If you wait for mid-day the sweetest peaches will have some serious damage from their sharp little beaks. 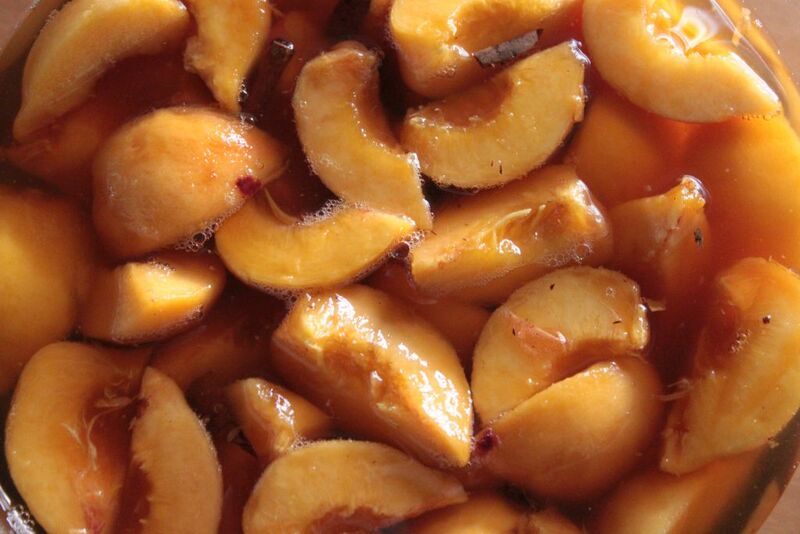 Fungai has been harvesting the peaches as they ripen during the week and storing them in the fridge in his office. 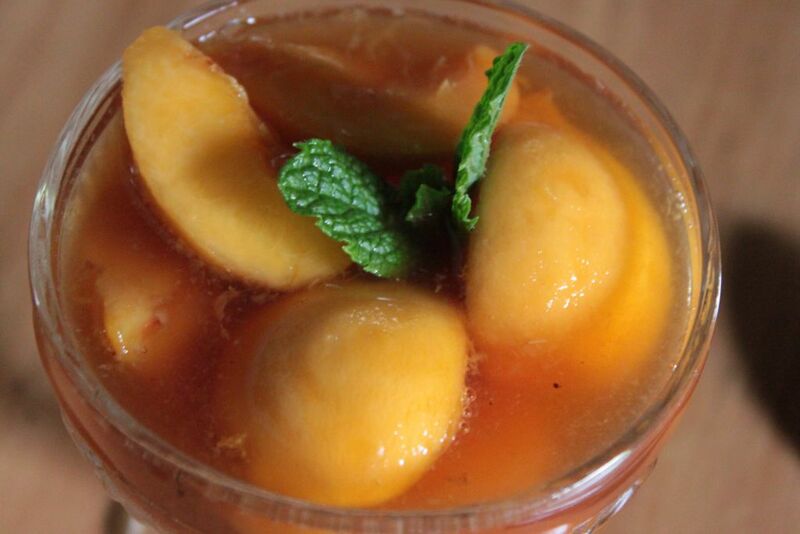 Over the weekend we could enjoy cool un-pecked peaches to our hearts’ content. 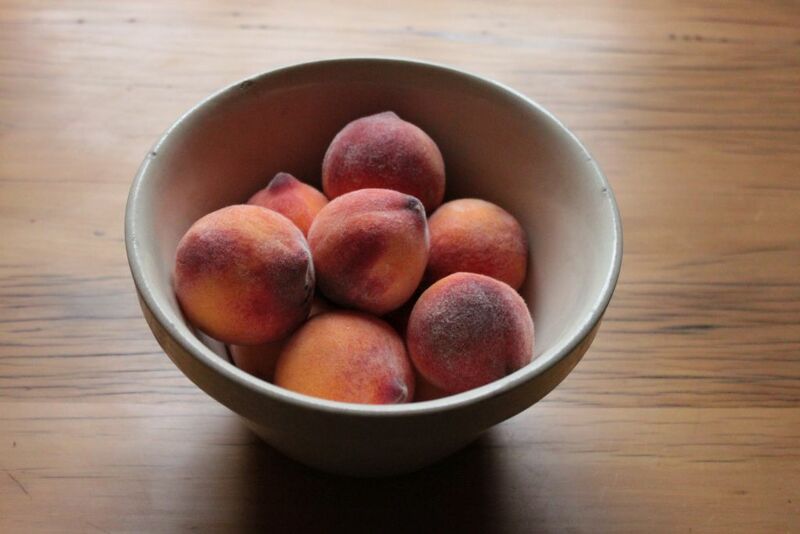 What a luxury to enjoy fresh peaches from one’s own orchard. It was the yellow dessert peach’s debut harvest. I had contemplated picking all the young peaches to save the tree’s energy for branch development, but never did get around to doing so, and I am very glad for it. 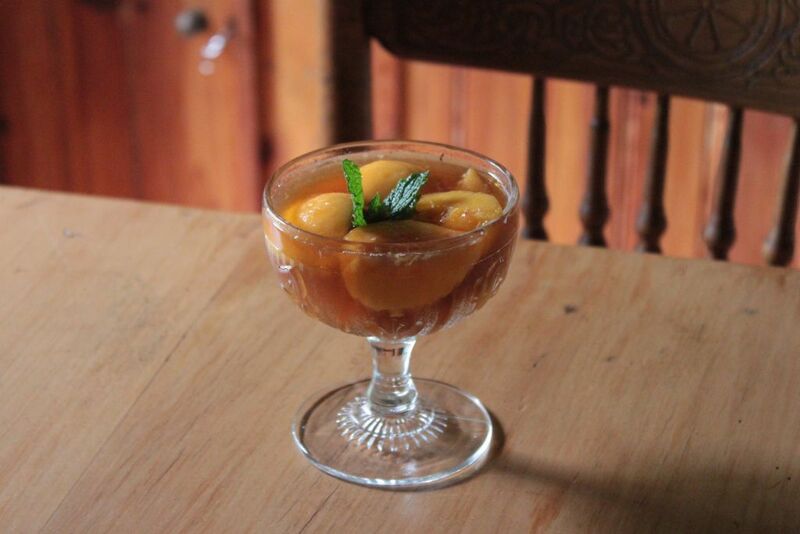 We could enjoy the fresh peaches as is, and I could turn part of the harvest into a luxurious dessert. I bought some Boplaas Moscato earlier in the year when we visited the Klein Karoo town of Calitzdorp. 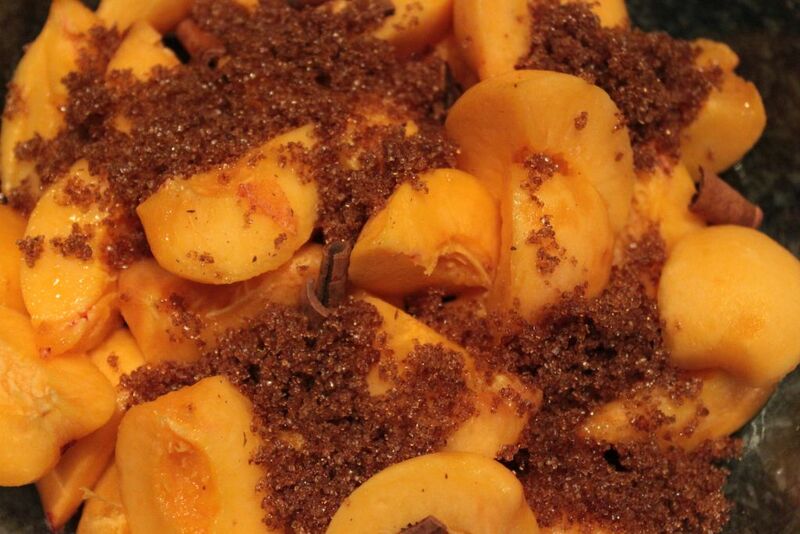 I decided that the summer fruit and spice flavours of the wine, should work well with the peaches and cinnamon. We were not disappointed. The flavours complimented each other very well. I can safely proclaim it a sure winner as a Towerwater summer dessert. Place the peaches in a large bowl and add the brown sugar and cinnamon. 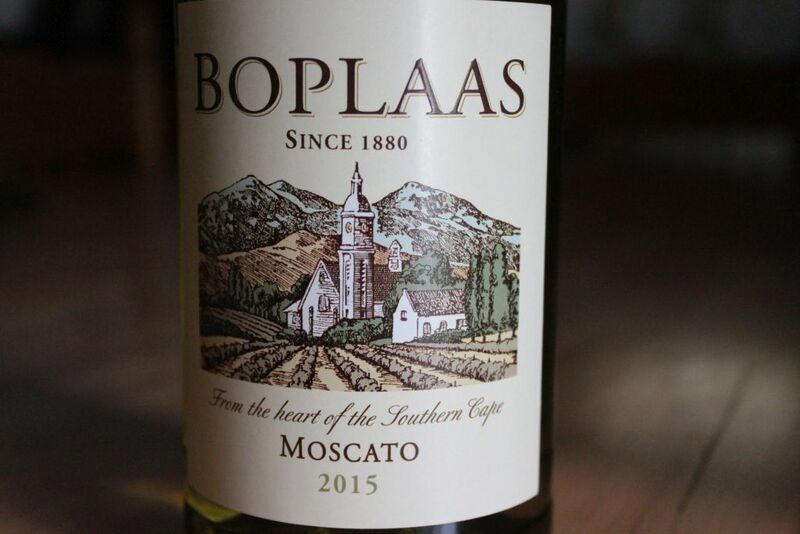 Pour Moscato over the peaches, making sure that all the fruit is covered. Place in the fridge for 60 minutes. Serve in dessert glasses with fresh mint leaves for garnishing. Looks and sounds yummy. Problem is, we don't all have Towerwater peaches on hand 😶enjoy anyway! Thanks Cheryl, if that little tree grows bigger we might be able to remedy that.